Click the above buttons to vote for my Kavana website! 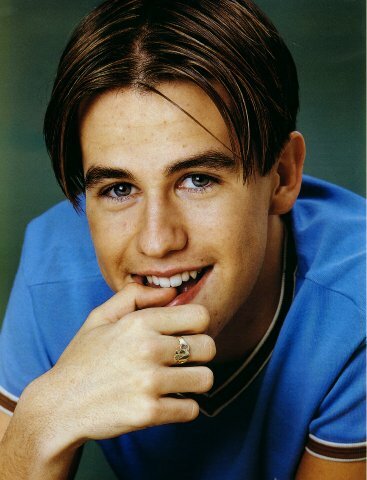 His real name is Anthony Kavanagh, but he considers the name boring so he wants to be called Kavana. Favourite Foods: Thai, Italian, pasta rice, and chicken. He doesn't like sweet things. Although he does like to have chocolate, but not too much of it. He is 20 years old but people think he is only 12 since he hasn't started shaving yet. For all the girls who love Kavana - he prefers girls who have nice personalities as he believes it's what's in people's minds that's important. He wasn't very good at much at school, but he loved music. He played the keyboard a lot at home. He considers himself lucky to be doing a job that he loves. Kavana is currently recording his new album. Hopefully it will be out soon! Kav has said that, "I'm not a puppet - I just make music that I love". Kav hasn't been in a relationship for 2 years. "You'd think I'd be in the situation where I could have as many women as I like. But it's not like that. I've been the loneliest I've ever been doing this job". E-mail me (by clicking the envelope) with comments, information and suggestions about Kavana or this website. I have no association with Kavana so please don't write messages to him in my guestbook! I am just a fan! This website has no association with Kavana at all. He is no relation to me and I have no contact with him. Please don't leave messages in my guestbook for him.